When Axiom announced in February its intentions to float, it was a seminal moment for New Law, with the pioneering flexible lawyering company established as the most prominent global brand in the sector. Back in 2013 one excited commentator forecast 2018 as the year Axiom would become the world’s largest legal provider (spoiler alert, it still wouldn’t make the Global 100). New Law pioneer Axiom is to make good on long-mooted plans to float in a potential milestone for the alternative law sector. Axiom announced today (19 February) that it has submitted a draft registration document for a proposed initial public offering (IPO) with the US Securities and Exchange Commission (SEC). The prospects of a public offering for the US-based trailblazer – regarded by many as the most prominent New Law brand in the world – is a symbolic development for the legal industry, potentially providing a bellwether for the fast-growing alt law market. The company was founded in 2000, originally on the model of offering high calibre legal ‘locums’, growing to reported revenue of $360m in the 2017/18 financial year. The company has more than 2,000 employees across three continents. It is the latest in a long line of New Law firms to seek external investment, though the US-bred Axiom had long been expected to float rather than seek a trade buyer. An IPO would follow competitor UnitedLex securing a $500m war chest after private equity house CVC Capital Partners acquired a majority stake in the business in September, and on a smaller scale, Lawyers On Demand’s sale to Bowmark Capital in May. It also follows a number of UK legal floats in recent years, most recently top-25 UK law firm DWF, which plans to raise £75m on the London Stock Exchange next month. The benefits of floating traditional law firms have long been debated, but New Law businesses such as Axiom have typically been seen as more compelling investments, particularly as technology and automation turn more of institutional legal services into scalable process. Axiom also spun off two of its companies today, Knowable and Axiom Managed Solutions, which provide enterprise contracts intelligence and solutions for complex legal work respectively. Few doubt that the success (or failure) of Axiom’s public offering will be a significant moment for the legal industry on a global level. Marking the 365-day countdown to Brexit, alternative legal services provider Axiom has today (29 March) launched a purpose-built service to aid companies revise millions of financial services contracts as the pressure to update paperwork increases with the UK’s exit from the EU looming. 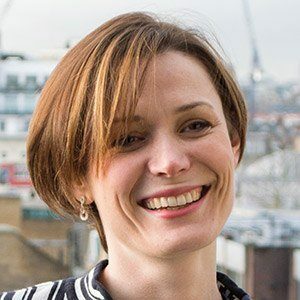 Designed specifically for in-house legal teams, the service, named ‘BrexitBridge’, will incorporate artificial intelligence (AI) to help companies update and rewrite their contracts they begin one of the largest contract-renewal endeavours ever undertaken. Axiom estimates that financial services companies spanning the UK and EU will need to revise more than 7.5 million contracts due to Brexit. Over 100 types of contract would be involved, with numerous European regulations and domestic laws needed to be taken into account as companies made their changes.The newplatform will seek to use data aggregation tools to organise existing contracts into information packages and convert contract text into structured data. 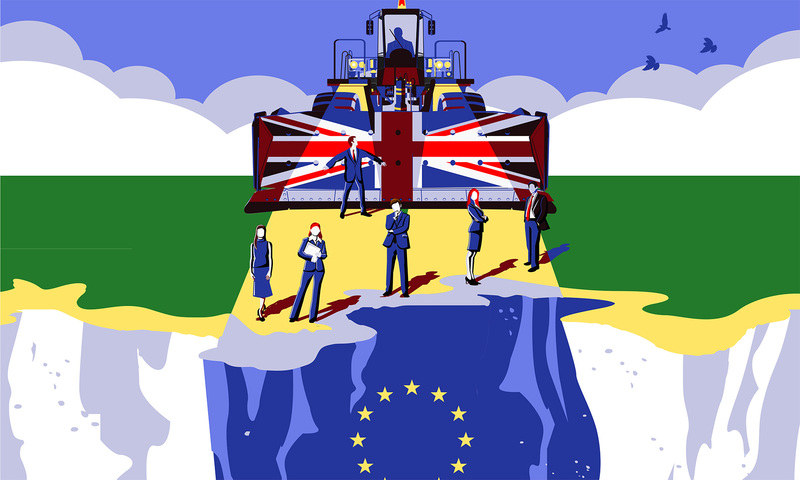 In Axiom’s BrexitBridge guide, the firm suggests all financial products and services sold cross-border will be affected, placing strains on traditional approaches to contract revision. Axiom has pedigree in contracting support, as in 2016 the firm signed a five-year contract with consumer giant Johnson & Johnson to support the company’s global procurement contracting function. However the platform may have significance beyond Brexit, as the cost and complexity of contract revision becomes untenable. DeConti told Legal Business: ‘This sort of work will become more tech-enabled for some time to come’. Consumer and pharmaceutical goods giant Johnson & Johnson has entered into a five-year deal with Axiom to support the company’s global procurement contracting function. This increases Axiom’s life sciences portfolio, which currently serves 22 of the top 25 global pharmaceutical, biotech and medical device companies, including nine of the top ten. Overall, Axiom has 2,000 lawyers and other professionals working for half of the Fortune 100 across 15 regions. Axion will be responsible for thousands of procurement agreements in more than 10 different languages, across a dozen contract types for Johnson & Johnson, through a team of negotiators and subject matter experts, as well as a team of lawyers who will provide ‘white glove service’ for more complex agreements. Most of Axiom’s work for Johnson & Johnson will come from its office in Wroclaw, Poland which opened in late 2014. Axiom’s Chicago office will also serve as a ‘front-door’ same time zone support for North America. ‘That approach not only creates a more efficient contracting function, but it also has commercial benefits – shortening cycle times and better managing risk’, he added. 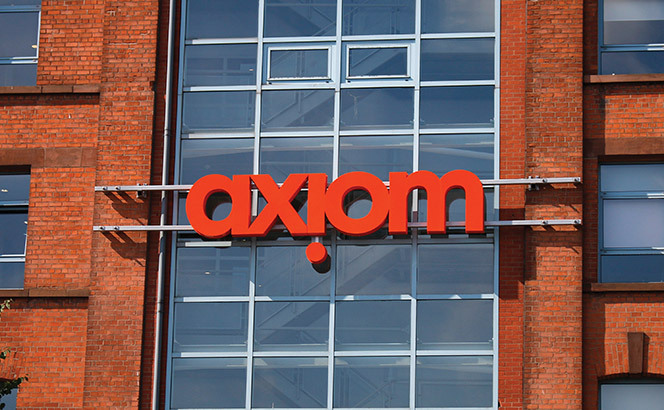 In 2014, BT selected Axiom for its global legal outsourcing and analytics for a three-year contract, with Axiom contracted to undertake 30-50 instructions per day across Europe, US/Canada and APAC, from simple work such as non-disclosure agreements and first mark-ups of contracts during requests for proposals, to more sophisticated work like end-to-end negotiations of master service agreements and product and service agreements. Axiom supports BT from its European headquarters in London and international centres in Belfast, Gurgaon and Houston, giving the telecoms giant commercial and administrative support for 20 hours a day. Big Four accountant Ernst & Young (EY) has appointed Axiom’s Aaron Stewart as a director to head up the launch of a legal services arm in Belfast. According to EY, Stewart will be working with the accountant’s clients across the UK and will also be responsible for building and running a team in Belfast. The move to expand the legal services team across the UK comes after the accountancy giant was granted an alternative business structure (ABS) licence by the Solicitors Regulation Authority in December 2014 in a bid to provide ‘integrated, multidisciplinary’ legal services across England and Wales. Headed up by Addleshaw Goddard’s former corporate head Goodstone and Matthew Kellet who was recruited from Berwin Leighton Paisner, EY’s UK law practice has grown to a team of 40 since the firm received the licence with former Olswang employment head Daniel Aherne in charge of building and leading the employment law team. EY’s global law practice has 1500 legal professionals in 67 countries with legal teams in Mexico, Costa Rica, Singapore, China, Vietnam, Australia and New Zealand. Its core legal services are corporate commercial, employment, financial services and M&A/transactions. Axiom has partnered with Ashurst in a joint venture aimed at helping banks meet new regulations coming into force next year. In the first partnership with a law firm by the legal technology provider, Axiom will use its technology to extract key data from documents and create new documents in line with changes in variation margin rules and derivatives requirements, which are scheduled to come into force in 2017. Ashurst will advise clients on how to write new rules and on the signing of those new agreements. Axiom says it has six of the world’s largest banks as clients, meaning it is going head to head with Magic Circle firms which typically handle this type of work. The announcement follows news of Allen & Overy’s joint venture with Deloitte, the first major pairing of a Big Four accountant and a Magic Circle firm. The two have worked together to create a tech-driven service dubbed MarginMatrix to help banks address incoming global regulation of the $500trn over-the-counter derivatives market. Ashurst has recently made a strong push for innovation, announcing the appointment of RBS head of EMEA loan markets Dave Rome to a newly-created position of strategic director of corporate lending earlier this month. Rome will bring his 25 years’ experience at RBS and NatWest across the UK, Europe and Asia to develop and grow drive the firm’s strategy across syndicated loan markets. The firm announced the shake-up of its management team in May, introducing three new roles in leadership and innovation. Glasgow managing partner Mike Polson and Sydney-based banking and finance partner Jamie Ng will take up the roles of co-heads of innovation, while London-based infrastructure partner Logan Mair has won the role of head of clients. Former co-head of the firm’s corporate division Simon Beddow has been made London office managing partner in a newly created position. An innovator long at the vanguard of transforming the traditional in-house legal function, BT in February entered into a three-year contract with Axiom to provide the telecoms giant with legal outsourcing and analytics services across the UK, US, Africa, Middle East and Asia, replacing and extending a contract formerly held by legal process outsourcing (LPO) provider UnitedLex. All work previously undertaken by UnitedLex, which includes 30% of BT’s global services division’s legal work in the UK, transferred to Axiom on 1 February after a successful tender process that concluded towards the end of 2013. An innovator long at the vanguard of transforming the traditional in-house legal function, BT has just entered into a three-year contract with Axiom to provide legal support services across the UK, US, Africa, Middle East and Asia, replacing a contract formerly held by legal process outsourcing (LPO) provider UnitedLex. All work previously undertaken by UnitedLex, which includes 30% of BT’s global services division’s legal work in the UK, transferred to Axiom on 1 February after a successful tender process that concluded towards the end of last year. Axiom will support BT from its European headquarters in London and international centres in Belfast, Gurgaon and Houston, giving the telecoms giant commercial and administrative support for 20 hours a day. Axiom’s LPO arm will also act as triage for work coming into the legal department under what BT refers to as its ‘front door policy’ – applying a detailed criteria to decide whether work should be either handled by Axiom, sent on to BT’s legal department or reserved for a dialogue over the appropriate response. This unique set up was successfully trialled by UnitedLex, which since had undertaken low-level contract work for BT in the US and India since 2010. Under the new arrangement, Axiom will be responsible for providing a variety of lower-level legal support services to BT on commercial contracts, as well as an element of administration. It is also undertaking key contract analytics with a view to monitoring and improving those agreements. 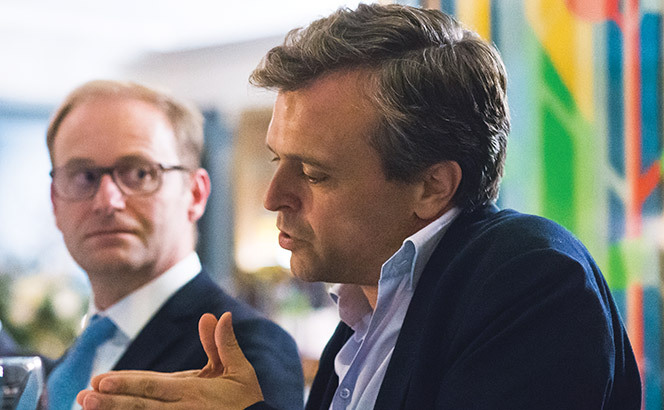 The move, which comes as large corporates such as BT and Vodafone are increasingly taking steps to free up their in-house lawyers to focus on high-level legal work, is part of BT’s efforts to streamline the ‘who’ and ‘how’ of its legal function by systematically delegating tasks to the most appropriate team member and accelerating response times. Axiom will also assist BT in the creation of tangible tools (from templates to clause libraries to playbooks) to assist with this process.